Selangor also known by its Arabic honorific, Darul Ehsan, or "Abode of Sincerity" is one of the 13 states of Malaysia. It is on the west coast of Peninsular Malaysia and is bordered by Perak to the north, Pahang to the east, Negeri Sembilan to the south and the Strait of Malacca to the west. It surrounds the federal territories of Kuala Lumpur and Putrajaya, both of which were previously part of Selangor. The state capital is Shah Alam, while Klang serves as the royal capital. Another major city is Petaling Jaya, which was awarded city status in 2006. Selangor is one of only two Malaysian states with more than one city; the other is Sarawak. The state of Selangor has the largest economy in Malaysia in terms of gross domestic product (GDP) with RM 239.968 billion (roughly USD 55.5 billion) in 2015, making up 22.6% of the total GDP of Malaysia. This state is also the most developed in Malaysia with good infrastructure such as highways and transport. The state also has the largest population in Malaysia, with a high standard of living and the state's poverty rate is the lowest in the country. The origin of the name Selangor is lost in history, although some sources claim the name to have come from the Malay word selangau, 'a large fly', most probably due to the abundance of flies in the marshes along the Selangor River in the state's northwest. A more plausible theory claims the state's name is derived from the term Selang Ur meaning "land of the straits" (according to this theory, selang means "straits" in the Malay language and ur means "town" in Tamil.) Aur (which sounds similar to ur) also means river in Malay. Hence, Selangor may mean 'river straits'. A major problem with this hypothesis is that the word "selang" does not in fact mean "strait" in Malay, not even in obsolete usage according to the Kamus Dewan; the proper word for "strait" is selat. Another possible origin of the name is from combination of the words Sela and Ngor (sela means 'a gap' and ngor means 'bamboo'). It may be possible that the banks of the Selangor River was full of bamboo groves in the distant past. However bamboo do not grow well in the marshy soil of the lower reaches of the river. It is also possible that the word Selangor is an Orang Asli term as some rivers have Orang Asli names, e.g. Damansara river. Available written records such as the Malay Annals refers to Selangor as Samarlingga during the rule of Seri Paduka Maharaja in Singapore(1301–1400) whereas some Chinese maps from the Ming Dynasty used by the Admiral Zheng He during his voyages of expedition between 1405 and 1433 refers to the Klang River and Selangor Darat (or inland Selangor). In the 15th century, Selangor was ruled by the Sultanate of Malacca. After the fall of Malacca to the Portuguese in 1511, the area became hotly disputed between the Portuguese, Johor, Aceh and Siam. When the Dutch displaced the Portuguese from Malacca in 1641, they brought in Muslim Bugis mercenaries from Sulawesi. They established the present hereditary sultanate in 1740. In many districts, Bugis settlers displaced the Minangkabau settlers from Sumatra, who had established themselves in Selangor some 100 years previously. In the 19th century, the economy boomed due to the exploitation of huge tin reserves. In 1854, the Sultan of Selangor granted Raja Abdullah the control of Klang, passing over Raja Mahdi, the son of the chief who previously ruled Klang. This would eventually led to the Selangor Civil War of 1867 to 1874, which was essentially a struggle for control of the revenues from tin. Tin Mining also attracted a large influx of Chinese migrant labourers. Chinese secret clan societies, allied with Selangor chiefs, fought for control of the tin mines. The conflicts between Malay as well as Chinese factions in Perak and Selangor, as well as concerns over piracy that ravaged coastal trade, drew increasing British involvement in the affairs of the Malay states. In 1874, Sultan Adbul Samad of Selangor accepted a British Resident in a system allowed the British to govern while the Sultan remained the apparent ruler. Under the stability imposed by the British, Selangor again prospered. In 1896, largely through the co-ordination of the Resident, Frank Swettenham, Selangor united with Negeri Sembilan, Perak and Pahang to form the Federated Malay States, with its capital in Kuala Lumpur. The Federated Malay States evolved into the Federation of Malaya in 1948, which became independent in 1957, and Malaysia in 1963. The city of Kuala Lumpur functioned as both the national capital of Malaysia and the state capital of Selangor. In 1974, Selangor relinquished Kuala Lumpur to the federal government. The Sultan of Selangor, Sultan Salahuddin, reportedly shed tears of sadness upon signing away Selangor's sovereignty over its beloved capital. To commemorate Selangor's sacrifice, the Sultan decreed that an archway be built on the borders of the new Federal Territory and Selangor; this archway is the Kota Darul Ehsan that now towers majestically over a section of the Federal Highway between Bangsar and Petaling Jaya. The state capital was moved to Shah Alam after the cession. Putrajaya, a new city designed to be the new administrative capital of Malaysia, was built by the federal government in Selangor. Sultan Salahuddin was asked again to cede land to the federal government. Putrajaya became a federal territory in 2001. Selangor is Malaysia's most populous state with the nation's biggest conurbation, the Klang Valley. Selangor's geographical position in the centre of Peninsular Malaysia contributed to the state's rapid development as Malaysia's transportation and industrial hub. This created jobs and attracted migrants from other states as well as overseas, especially from Indonesia, the Philippines, Vietnam, Myanmar, Bangladesh, India, Pakistan, and China. In recent decades, the influx of illegal immigrants, particularly from Indonesia, has further contributed to Selangor's population. Selangor has the largest population in Malaysia, and has shown considerable increase in recent decades due in large part to the development of the Klang Valley. The population was 1,426,250 in 1980, and by 2000 it had more than doubled to 3,941,316, and further increased to 5,411,324 in 2010. As of 2015, its population is 5,874,100. The traditional culture of Selangor's Malay majority is influenced by those of Bugis, Minangkabau, Mandailing and Javanese, Banjarese, Rawanese and Bengkulu ancestry, most of whom are Muslims. Javanese ancestry were dominant in west coast district such as Sabak Bernam, Kuala Selangor, Klang, Kuala Langat and Sepang. Selangor's population also has ethnic Chinese and Indian influences; those two groups have the larger minority populations. The 3,000 Mah Meri people, part of the Orang Asli or the indigenous peoples of the Peninsula can be found in Carey Island and still maintain their culture and language while adapting the modern way of life. With its advanced state of development, Selangor has more international ties through trade, business and education than other rural states..
As of 2010 Census the population of Selangor is 57.9% Muslim, 24.4% Buddhist, 11.6% Hindu, 3.8% Christian, 0.5% Taoist or Chinese religion adherent, 0.4% follower of other religions, 1% of unknown affiliations and 0.4% non-religious. The state is a hereditary constitutional monarchy, of which the reigning Sultan (since 2001) is Sultan Sharafuddin Idris Shah. Since 23 September 2014, the Menteri Besar (chief executive of the state government) is YAB Mohamed Azmin Ali, of the People's Justice Party (PKR) portion of Pakatan Rakyat. The Constitution of the State of Selangor came into force on 26 February, 1959. The constitution is separated into two parts. Under the 1959 constitution, Selangor is a constitutional monarchy. The Sultan of Selangor is the constitutional Ruler of Selangor. The role, powers and duties of the Sultan are set forth in the constitution of 1959. The constitution proclaims that the office of Sultan is vested with the executive power of the state, is the head of the religion of Islam in the state and the "fountain of honours and dignities" in the state. This position is hereditary and can only be held by a member of Selangor's royal family. The current ruler is His Royal Highness Sultan Sharafuddin Idris Shah, who has held this position since 2001. The State Executive Council, which along with the Sultan is Selangor's executive branch of government, was established by the constitution of 1959. It is composed of the Menteri Besar, who is its chairman and Selangor's head of government, and ten other members. The Menteri Besar and other members of the council are appointed by the Sultan of Selangor from members of the State Assembly. The current Menteri Besar is Yang AmatBerhormat Datuk Seri Mohamed Azmin Ali. The state also has a legislative branch, called the Selangor State Assembly. It is similar to the Parliament but is limited to making laws relating to the state. Its members are elected in elections which are usually held simultaneously with federal elections. The term of each state assembly member is limited to five years. The state assembly must be dissolved before or once it expires its term for a fresh election to elect its members. The economy of Selangor is constituted by a progressive market economy. The core sectors of Selangor's economy are commerce and agriculture. Selangor is the richest state in the country in terms of gross domestic product (GDP) per capita (PPP). On 27 August 2005, Selangor was officially declared the first developed state in Malaysia by the then state government. Selangor has a recorded highest Human Development Index among the states in Malaysia. Commerce, industry and services are a major contributor to the economy of Selangor, as it accounted for over 58% of the state's GDP. It has several industrial sites that produce electronic goods, chemicals and automotive vehicles, such as Proton and Perodua cars. Imported vehicles are also assembled in the state, such as Toyota, Nissan, Volkswagen, BMW Motors, Peugeot, Porsche, Volvo and many more. Many international factories that are represented in the country have set up their bases here. Among the industrial cities in Selangor are Subang Jaya, Shah Alam, Klang, Kajang, Rawang, Selayang, Ampang Jaya and Petaling Jaya. Port Klang plays a key factor in the industrial development of Selangor as it is the busiest port in Malaysia. 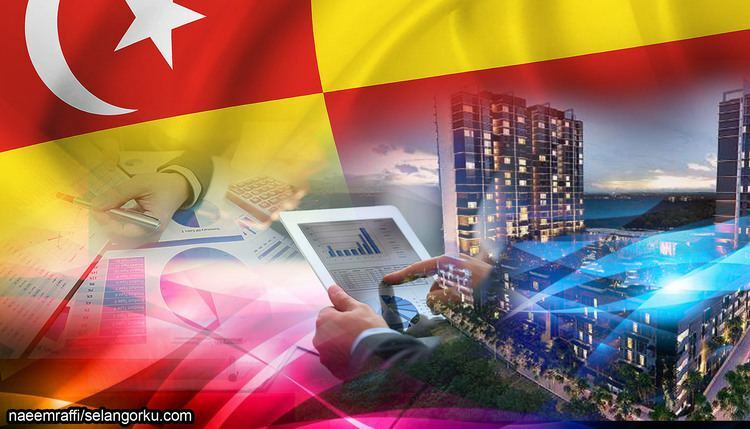 Selangor attracts foreign investors as well. The services sector is the second largest contributor to GDP of 38% of the state. Alongside industries, agriculture is a thriving sector of Selangor's economy. Agriculture contributed to 3.1% of the state's GDP. Selangor is a significant state involved in the cultivation and growth of star fruits, papayas and bananas. While the state is not a major producer of rice, the paddy fields in Kuala Selangor and Sabak Bernam contribute to the development of the district. Other agricultural activities that are conducted in Selangor include the establishment of palm oil and rubber plantation sites. Famous tourist attractions in Selangor include the I-City in Shah Alam, a retail and commercial hub with millions of LED lights and a snowalk indoor park; the National Zoo of Malaysia (Zoo Negara) in Ampang Jaya, the largest zoo in Malaysia with more than 4,000 animals; Sepang International Circuit in Sepang, the venue for the Formula One Malaysian Grand Prix, the A1 Grand Prix and the Malaysian Motorcycle Grand Prix; the Sultan Salahuddin Abdul Aziz Shah Mosque, one of the most stunning architectures in the country, and Sunway Lagoon in Bandar Sunway, Malaysia's top theme park. Other theme parks in Selangor include The Mines Wonderland in Sri Kembangan and Wet World Water Park in Shah Alam. Other attractions in Selangor include Batu Caves in Selayang, Shah Alam's Blue Mosque, Shah Alam Gallery, High 5 Bread Town and Selangor State Library in Shah Alam, the Sultan Abdul Aziz Royal Gallery, Alam Shah Palace, GM Klang Wholesale City and Crab Island (Pulau Ketam) off Port Klang. The most popular beaches in Selangor are located at Bagan Lalang, Sepang Gold Coast, Batu Laut Beach and Morib Beach. There are also a number of pristine nature sites such as the Firefly Sanctuary, Kuala Selangor Nature Park in Kuala Selangor; Malaysia Agriculture Park Bukit Cerakah in Shah Alam; Commonwealth Forest Park and Forest Research Institute of Malaysia (FRIM) in Selayang; Ampang Recreational Forest and Kanching Recreational Forest in Ampang Jaya. The larger towns and cities in Selangor consist of various shopping malls that are frequented by tourists and locals, such as 1 Utama in Bandar Utama; The Curve, e@Curve (formerly known as Cineleisure Damansara), Ikano Power Centre and IKEA in Mutiara Damansara; Tropicana City Mall in Damansara Utama; Paradigm Mall in Kelana Jaya; Sunway Pyramid in Bandar Sunway; Mines Wonderland in Seri Kembangan; Subang Parade, Empire Subang and Summit USJ in Subang Jaya; IOI Mall in Puchong; ÆON Bukit Tinggi Shopping Centre and Bukit Raja Shopping Centre in Klang; Setia City Mall, Plaza Alam Sentral and SACC Mall in Shah Alam. 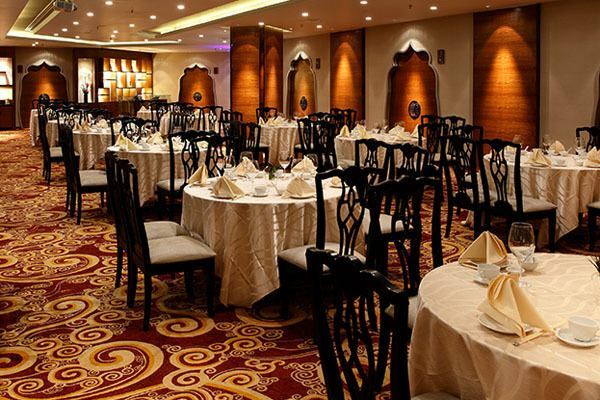 Selangor is also well known to be a haven to massage and spa lovers. Since 2009 there has been a spike in the increase of business operating as traditional massage and reflexology parlors. While most of the businesses are genuine there are some brothels masquerading as massage parlors or spas. The Royal Malaysian Police frequently raid such establishments when they receive tip-offs from the public. Recently OPS NODA was launched by the Malaysian police to curb the growth of prostitution in Selangor. Despite effort by the Malaysian Police prostitution is on the rise in Selangor and continues to attract clientele as far away as Singapore. Selangor is linked to the rest of Malaysia by comprehensive air, road and rail connections. Public transportation is represented in Selangor, although it is underutilised. Most of the major highways that run through the West Coast of the peninsula, including the North–South Expressway, serve Selangor as well. The high speed roadways, or expressways are tolled roadways, and motorists using these expressways have an option of paying by cash, or by stored value cards such as Touch 'n Go and SmartTAG. Kuala Lumpur International Airport (KLIA), the country's primary airport, is located in Sepang District. KLIA consists of KLIA Main Terminal Building, Satellite terminal A and klia2. Selangor also has a domestic airport Subang Airport which is the premier hub for corporate and private aviation in Southeast Asia. Port Klang, which is the busiest gateway into Malaysia by sea, is located at the western tip of Selangor. The KTM Komuter railway network services many outlying districts and nearby towns and cities such as Kajang, Port Klang, Shah Alam, Subang Jaya, Petaling Jaya, Rawang, etc. It is also linked to other rail transit services at the KL Sentral Station, a modern transportation hub in the city centre. Selangor is accessible by the Rapid KL Light Rail Transit network, which comprises the Ampang Line and the Kelana Jaya Line. On 29 August 2006, Malaysian Deputy Prime Minister Mohd Najib Abdul Razak announced that the western end of the Kelana Jaya Line would be extended to the suburbs of Bandar Sunway, Subang Jaya, UEP Subang Jaya (USJ) and Putra Heights. The extension will be part of a RM7 billion plan to expand Kuala Lumpur's public transport network. The expansion plan will also see the Ampang Line extended to the suburb of Puchong and the south-west of Kuala Lumpur. The plan also involved the construction of an entirely new line, tentatively called the Kota Damansara-Cheras Line, running from Sungai Buloh in the northwestern flank of the city, to Kajang. In September 2009, Syarikat Prasarana Negara began a public viewing for the details of the alignment for the Ampang Line and Kelana Jaya Line at various locations. The public are able to provide feedback based on the route during the 3 months display period. The extension will see the Kelana Jaya Line and Ampang Line adding 13 new stations and 17.7 km of new track to its network. The new terminus will be at Putra Heights where the line will meet the Kelana Jaya Line and Ampang Line to provide a suburban interchange. Construction began in mid 2013 and was fully operational by July 2016. The traditional Malay cuisine in Selangor has received influences from Johor, Bugis, Jawa and Minangkabau. Rojak Klang and Lontong Klang are famous cuisines in Klang and Shah Alam. Other famous dishes include Mee Rebus, Satay Kajang, Nasi Ambeng, Laksa Selangor, Soto (Soto Nasi Himpit and Mee Soto), Sambal Tahun, Bakso, Ketam Darul Ehsan, Ikan Masak Asam Pedas, Ayam Masak Kicap and Sayur Masak Rebung. Television in Selangor consists of seven free-to-air stations, one satellite television network and two internet television services. Three of the seven free-to-air stations are managed by Radio Televisyen Malaysia, a federal government-owned media company headquartered in Kuala Lumpur, while the four commercial stations are owned by Media Prima, an integrated media company headquartered in Bandar Utama, Selangor. The satellite television service is owned by Astro All Asia Networks and it is available nationwide. One of the Internet television services is owned by the state government of Selangor. Radio stations in Selangor are available in the FM and SW frequencies and transmitted from Gunung Ulu Kali, Selangor and Kajang, Selangor. Commercial radio stations available in Selangor include Era (103.3), Sinar FM (96.7), Melody FM (103.0), Hot FM (97.6), Suria FM (105.3), Best104 (104.1), Hitz.fm (92.9), Mix FM (94.5), Lite FM (105.7), Red FM (104.9), Fly FM (95.8), BFM (89.9), Capital FM (88.9), 988 (98.8), My FM (101.8), One FM (88.1), UFM 101.3, and THR (99.3). Commercial radio stations are operated by a few media companies such as AMP Radio Networks Sdn.Bhd, Star RFM Sdn.Bhd, Media Prima Berhad, Suara Johor Sdn.Bhd and BFM Media. Local community radio stations include UFM (93.6) operated by Universiti Teknologi MARA (only available in Shah Alam, Klang and Petaling Jaya), and Putra FM (90.7) operated by Universiti Putra Malaysia (only available in Serdang and Seri Kembangan) which targets the university students. The nine Radio Televisyen Malaysia (RTM) radio networks available are Klasik Nasional (98.3 FM, 5.965 kHz SW), Muzik FM (95.3), Ai FM (106.7), Traxx FM (100.1 FM, 7.295 kHz SW), Minnal FM (96.3), Asyik FM (102.5 FM, 6.050 kHz SW), Selangor FM (100.9), KLFM (97.2) and Pahang FM (107.5). There are three specialised radio stations as well, namely IKIM.fm (91.5) operated by IKIM, Salam FM (102.5) operated by JAKIM, and Radio24 (93.9) operated by BERNAMA. The regions of Selangor that border other states can also receive two other Radio Televisyen Malaysia (RTM) radio stations; Perak FM (89.6 MHz/95.6 MHz; Selangor-Perak border) and Negeri FM (92.6 MHz; Selangor-Negeri Sembilan border). Harakah (in Bahasa Malaysia and English). This newspaper is owned by the Pan-Malaysian Islamic Party, one of the major party in the Pakatan Rakyat ruling coalition in Selangor. Suara Keadilan. This newspaper is owned by People's Justice Party, another major party in the Pakatan Rakyat ruling coalition.